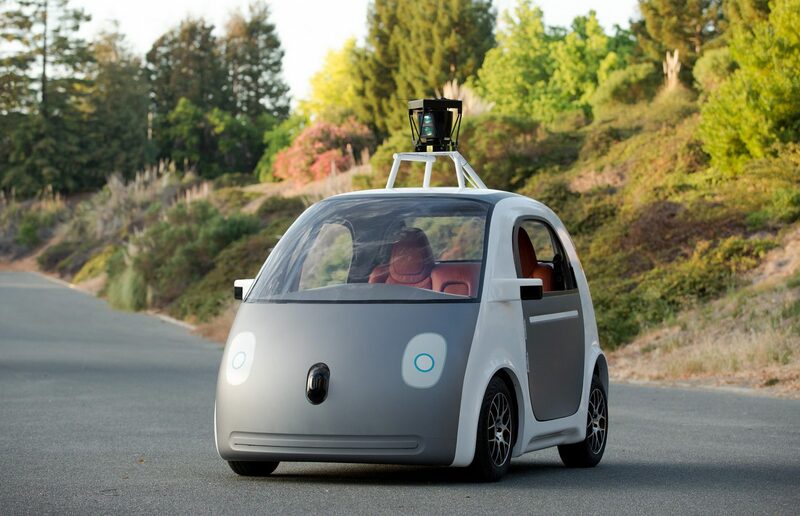 Self-driving cars are right around the corner. Even Philip Hammond knows. But what these effects might be and who they benefit depend on the power different groups have to affect these developments. Already pretty advanced and safe, they have the potential to transform the way we organise our cities – from overhauling road infrastructure, to freeing up more urban space not needed for individual car parking. Autonomous cars could be much cheaper than normal taxis, thanks to increased efficiency savings associated with not having to pay a human driver an actual wage. Moreover, there’s the potential for autonomous cars to communicate with one another, operating like a swarm. This will allow them to regulate the flow of traffic in a city, flowing smoothly around a roundabout or on motorways, optimised in a way far beyond human capacities. It’s easy to see a myriad of benefits: linking together different transport networks; saving people money via ridesharing; making transport more energy-efficient; reducing the city’s carbon footprint. Indeed, sleeper cars or office cars could free up an enormous amount of time otherwise given over to the onerous task of commuting, which could now be used for sleep, for socialising, for leisure, or for work. In a society which puts a high price on time, where the way we move about the city profoundly affects our personal and working lives, we should not underestimate the impact of this technology whose rollout is set to be just around the corner. Car usage can be organised around a ‘sharing’ model; essentially like a city bike pool. This is the next horizon of the sharing economy: cars owned by individuals, renting out rides out to others, or a taxi fleet model where a pool of cars is owned by a company. Already the sharing economy has given us competing visions of what this transport network would look like- all boiling down to the question of ‘who owns what and who profits?’ On one hand, you have worker-owned models such as Taxiapp, private taxi companies with employed drivers, or Uber’s exploitative platform with ‘self-employed’ drivers who take on all the capital expenses. The modern city was developed with the car in mind. Roads and houses were sculpted to accommodate the needs of the single-driver vehicle. So we can expect big changes as road and transport infrastructure is redeveloped to accommodate this new technology. There will be a lot of space freed up from carparking: cars can drive themselves further away to park, clustering in mega-carparks instead of needing to be spread out near workplaces. This raises questions about the changing city-space: what will it be used for and who will benefit from it? As with any new technology, its transformative powers can be used to reap positive benefits for citizens and city-dwellers. Or it could fuel further crowding, pollution and gentrification. It’s not hard to imagine communities being ‘developed’ – aka gentrified – in the name of making way for a driverless future. It’s easy to be utopian with new technologies, and it is important to think about how things could be. But we must also compare this to reality and recognise that there are decisions to be made and these will be determined by power. Power will determine how technology is developed, what purposes it serves, and, ultimately, who will benefit from it. There are many competing visions of society and the city, and power will determine which visions are realised and which are not. So many questions rear their heads. Will there actually be more traffic, as cheaper self-driving transport gets used even more for deliveries or business use? Could there be more pedestrianised streets and a focus on routes for cycling, skating and scooting? Will there be a heavy priority on economic efficiency of self-driving cars and pedestrians banned from the being nearby roads? Would empty car-parks be turned into community centres, public spaces or green areas? Or would space just mean bigger apartments for rich people? Millions of people have jobs linked to the driver-transport industry. Will they be given more leisure time with some kind of basic income, or will they be cast onto the scrapheap of unemployment? When distribution is done by the free market, the power is with those with money. Profit-seeking companies will focus on providing products and services to rich people, not on improving the lives of everyone. Additionally, technology companies (and their investors) generally have the initiative as to what they develop: government regulation, as well as being lobbied and influenced by corporate power and the ruling elite, is reactive and often too late for technological changes. Transport and mobility are already vastly inequitable. Our trains are divided by class; the length of commutes and the quality of transport networks is enormously shaped by your socio-economic position. There’s no guarantee that automation will relieve those dynamics; perhaps rich people could rent self-driving office and sleeper cars, pay for priority lanes – where poorer people are forced into cramped carshares, or turfed out of their homes as areas are cleared to make way for new transport infrastructures. Cities are already making transport decisions around distribution and trade-offs. Nottingham is a positive example: businesses pay a Workplace Parking Levy and this supports redeveloping the tram and subsidising the bus network. The US-based National League of Cities put out a special report this year called The Future of Equity in Cities, recognising that inequality is harmful and getting worse and recommending that cities incorporate equity as a core tenet of future plans, ensure that new technologies do not reinforce inequity, and recognise that technologies are not inherently neutral. There are possibilities of public-private partnerships involving cities, but this relies on both cities and companies doing the right thing. Mayor Peduto of Pittsburgh, Pennsylvania is one of the leaders on this. He has been critical of Uber, describing their relationship with the city as being one of ‘strictly take… no give back’, but is hopeful of working with autonomous car companies to work to improve mobility overall and work with public transportation. However, these are often competing interests which do not align with maximising profit. In New York City, Governor Cuomo’s work to promote self-driving cars has been angrily contrasted with a lack of support for the public subway system. While it is possible that changes can be done equitably, current power balances within the city do not make this likely. How autonomous car technology is used in cities is part of the bigger picture of city governance: who makes decisions and has control of space. Henri Lefebvre’s Right to the City argues for democratic control by extending the idea of workers’ self-management (autogestion) to space. This extends Marxist ideas which are focused on production to the space in which we live out our lives, productive and social. Lefebvre argues that collective decisions should be made by the people themselves, not via state officials in a representative democracy or corporate power (developers). Lefebvre described this as ‘collective ownership and management of space founded on the permanent participation of the “interested parties”, with their multiple, varied and even contradictory interests.’ It is not a right to access, but is about governance and control, ‘the freedom to make and remake our cities and ourselves’. These ideas exist can be seen in early forms in Corbyn’s speech at conference earlier this year, that residents on estates get to vote on regeneration plans. The St Annes Redevelopment Trust (StART) in Haringey, North London goes further, with a group of residents and workers actually making a development proposal based on local needs and a community consultation process. A driverless future could involve more leisure time, less pollution, greater integration, and enormous efficiency savings. But our cities don’t just need new technologies – they need democratic systems of governance to make sure that the benefits of the driverless future are shared by everyone.